The North States Superyard Colorplay Ultimate Playard is a fun, play yard style plastic baby gate. If you’ve got a busy little person wandering around your house it can be a huge help to have a way to safely corral him or her for short periods of time. 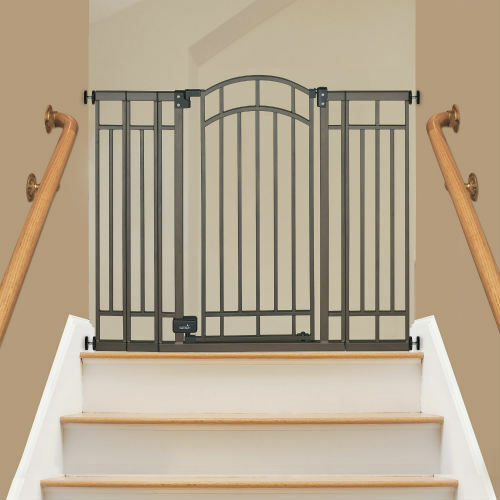 A baby gate is the obvious solution for this problem, but how do you choose what type of gate is best for your home? 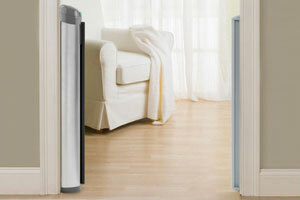 Lets take a look at plastic baby gates to see what advantages they hold compared to their metal or wood counterparts. 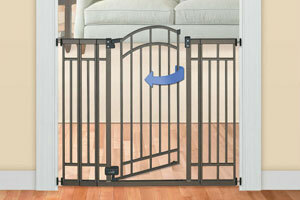 Plastic baby gates can be advantageous for several reasons. 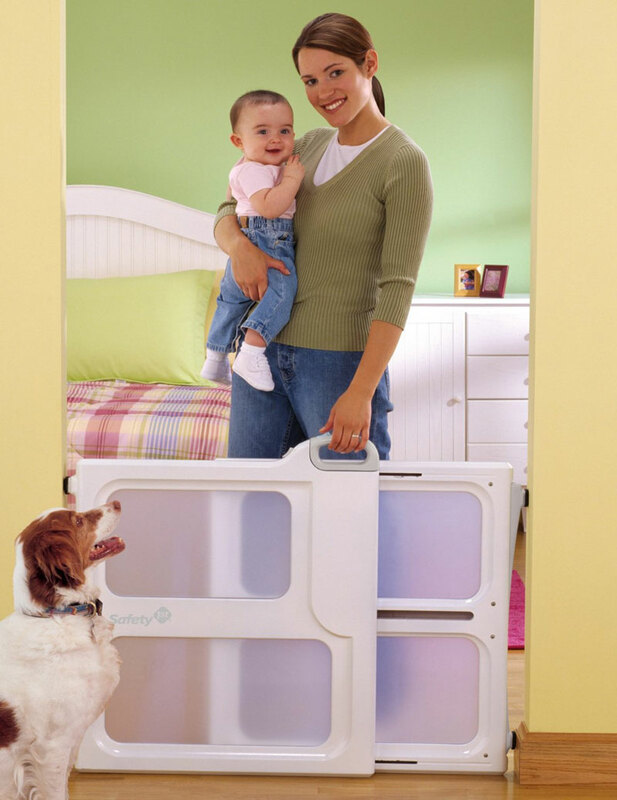 Firstly, plastic baby gates are relatively inexpensive. They also are typically lighter weight than metal and wooden baby gates. 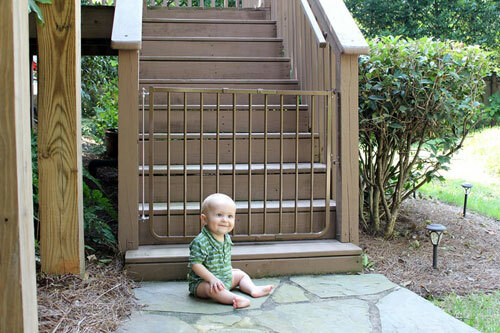 Another pro for plastic baby gates is that many can be used either indoors or outdoors as their material is weather resistant. 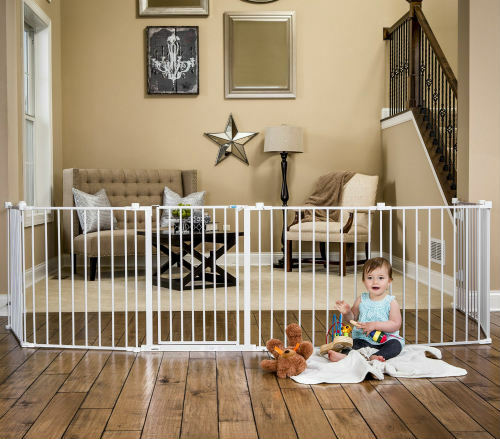 Perhaps the greatest advantage of plastic baby gates is that there are many play yard models available, which allow you to make a small, contained play area for your baby. 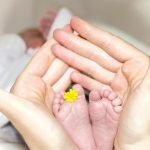 With these considerations in mind, we’ve put together this list of what we have found to be the best plastic baby gate options in 2016, and we hope it helps you find the right one for your home. Hopefully the comparison chart above is useful in getting a quick sense of the variety of plastic baby gates available at various price ranges. Below we’ll highlight a few of our favorite models and go into more detail about what makes them popular choices. The thoughtfully designed North States Superyard Colorplay Ultimate Playard forms a 18.5 square foot play area for your tots. The weather resistant plastic material makes this model suitable for both indoor and outdoor use. 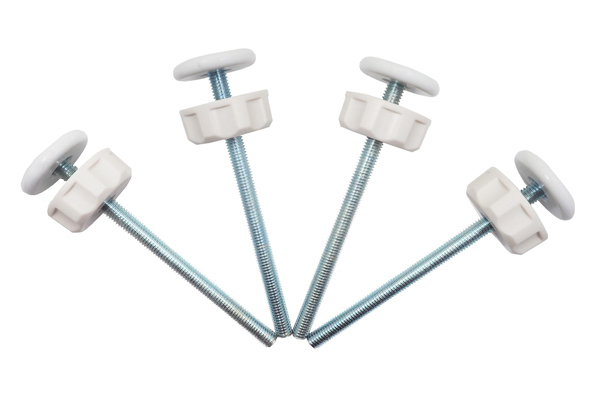 It is composed of 6 removable and adjustable panels, all combined weighing 20 pounds. 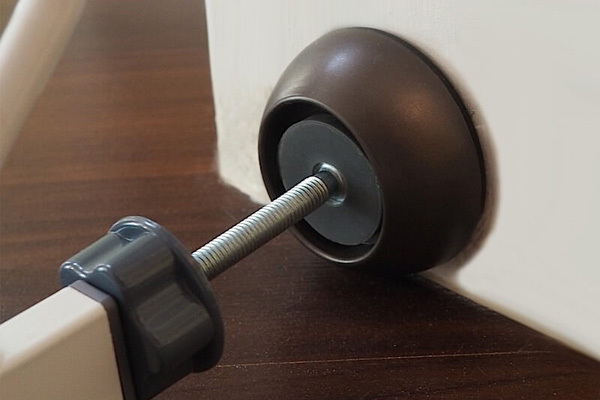 The panels do not require hardware to assemble, but rather are designed to click into place. These features allow you the flexibility to easily adapt your child’s play space as needed. Note: North States also sells Extension Panels in packs of two. A height of 26″ makes it easy for parents to step over, while at the same time being high enough so children aren’t able to climb out. 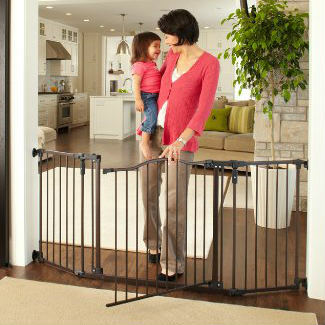 This gate also touts a quick access door that can be opened easily with one hand from the outside. 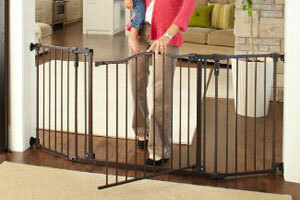 These gates are all made in the USA, and are phthalate, lead, and BPA free. All North States products come with a limited full-year warranty and are certified by the Juvenile Products Manufacturers Association (JPMA). All of these factors combined with the bright, fun colors of this gate make it a very popular choice. 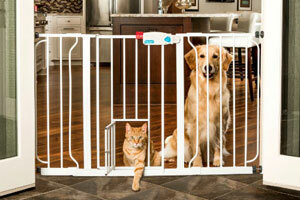 The Safety 1st Perfect Fit Gate has some unique qualities absent in other plastic baby gates. 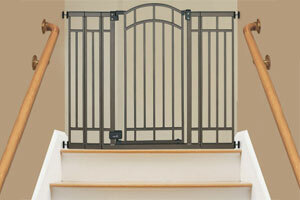 This gate can be pressure mounted or mounted with hardware, depending on your needs. It has a reputation of being very easy to install. 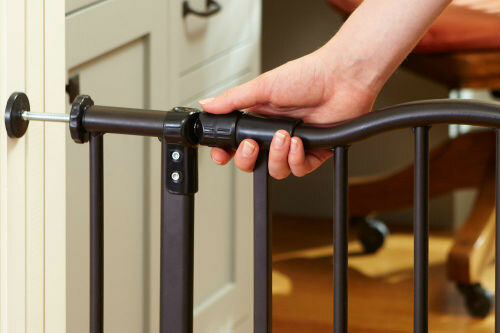 The gate allows easy swing-open access for adults, who can open the gate via the handle at the top of the frame. The gate features clear, plastic inserts between the framing pieces. 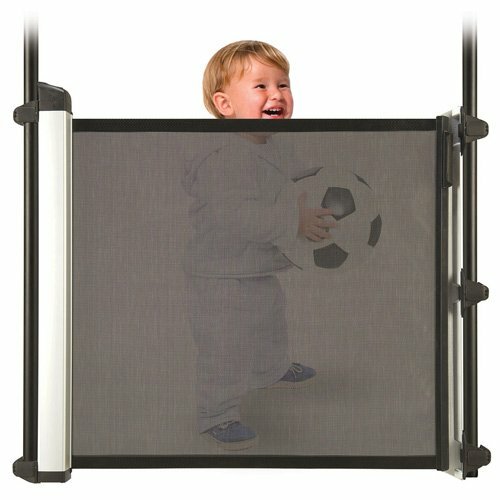 This makes it so that you can see through the gate, but little fingers and hands have no holes to grab on to. Yup, that means this model is climb proof! This model can span a 30″ to 42″ opening and stands at 26″ tall.